Do you have a speedy Schnauzer or fast French Bulldog? Then you are in luck! You can race your furry friend on our track between the horse races–for cash prizes! 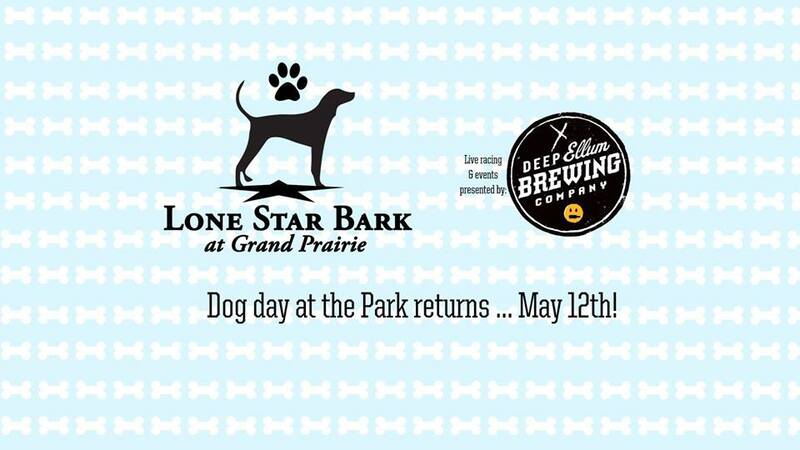 Lone Star Bark, a dog friendly day at the races, returns on Saturday, May 12th. The winner of each race will take home $200 while the runner-up will score a cool $100. In addition to all the Lone Star Bark activities, you can enjoy live music from Chris Rivers in our Courtyard of Champions from 2:00 p.m. to 6:00 p.m. So make plans to join us on May 12 for live racing and events sponsored by Deep Ellum Brewing Company.